Cake Fox SWAG this weekend, 50$ each. 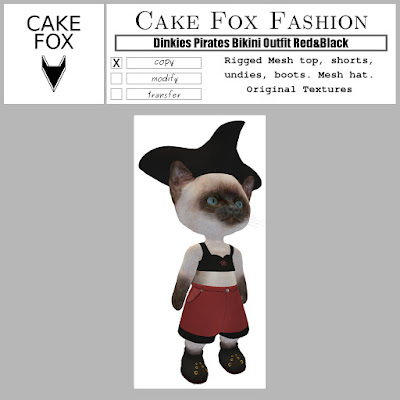 Get them at the Cake Fox SWAG location. Discount only in the SWAG vendor! - Rigged mesh top, shorts, undies, boots, mesh tricorne hat. 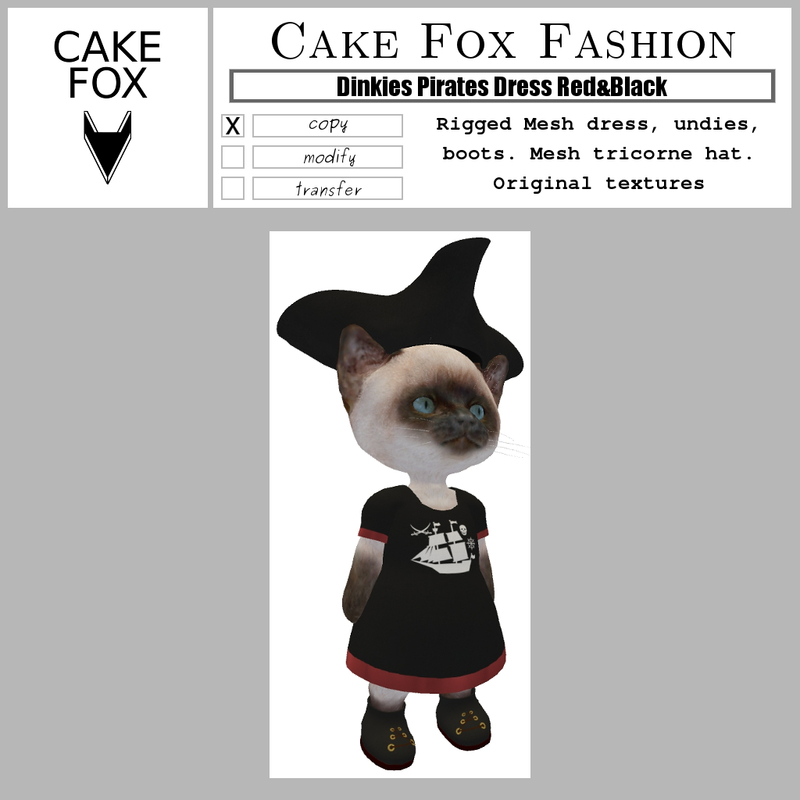 - Rigged mesh dress, undies, boots, mesh tricorne hat. 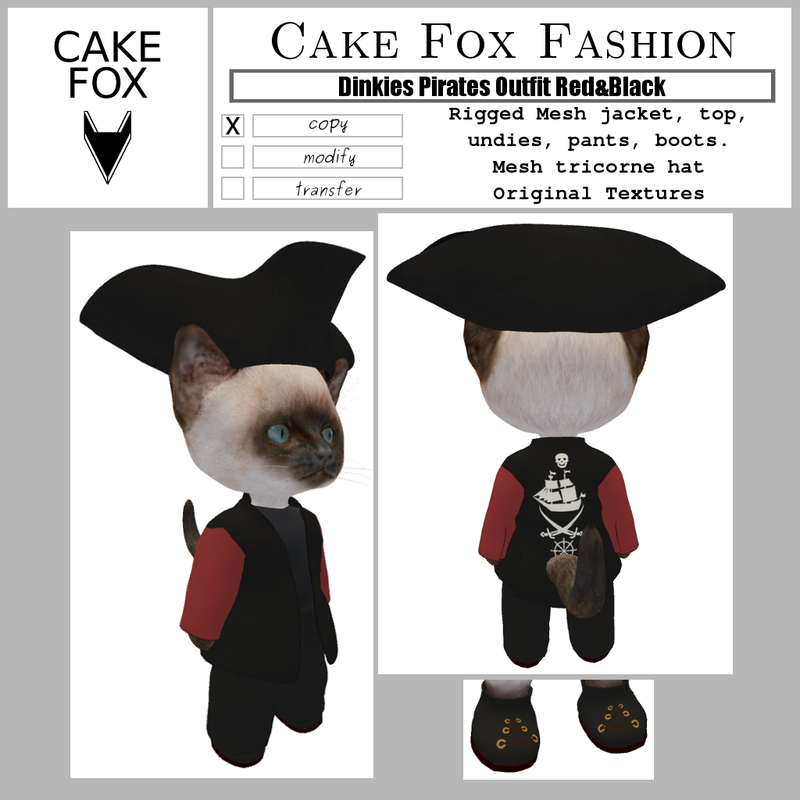 - Rigged mesh jacket, top, undies, pants, boots, mesh tricorne hat.